May 2018, Alaya Dedaun Kuta held Gebogan Competition inter-Departments to prepare Galungan Day 2018, this is also to improve solidarity and maintain good relationship among all Departments. Galungan is a Balinese holiday that signifies the victory of Virtue (Dharma) over Evil (Adharma). This important festival occurs every 210 days. During this time, the Balinese gods and ancestral spirits descend to Earth to be honoured, and will come back to kahyangan on Kuningan, which is the final day of the holiday. 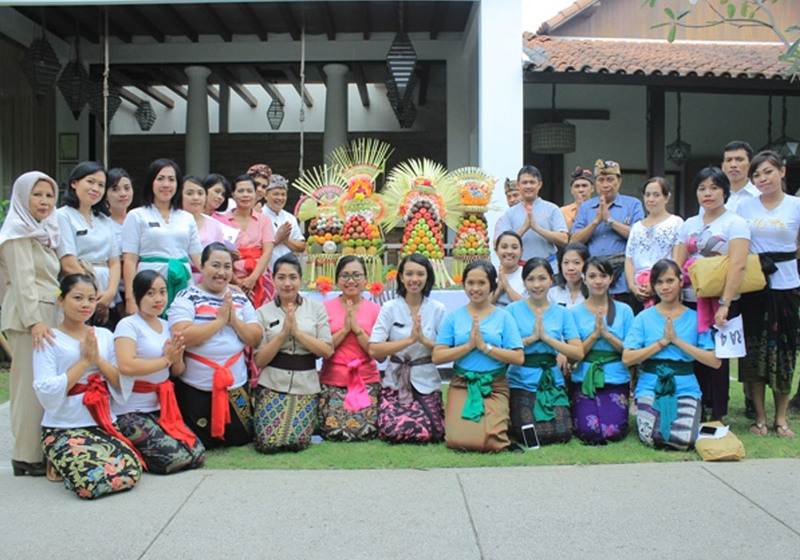 This year to prepare Galungan Day Alaya Dedaun team with held the Gebogan competition at Dedaun garden with participant from all Departments Including Tanaya bed & Breakfast and Tan’s Bakery & Pastry. Gebogan is a Balinese offering with the reflection of a mountain shape or triangle. This offering consists of many kinds of fruits, cake, flowers and other ornaments that are arranged in a triangle shape. When gebogan is presented as an offering to God, it is ‘delivered’ to the temple by carrying it on top of the head. If it is used as a decoration in a traditional ceremony, it is usually set on the floor or on top of table. 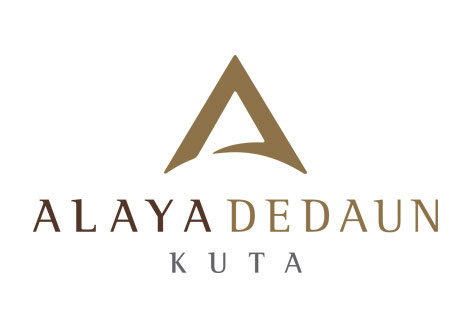 With this event, Alaya Dedaun Kuta can realize the gratitude for the all blessings from God, and showing commitment to implementing the Parahyangan activity as a part of Tri Hita Karana. In the other side, this event also helps to maintain good relationship among all Management, Staff and Tri Hita Karana Team, to have a synergy harmony in color.